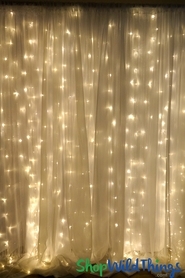 Home > Lighting > LED Lighting - View Categories > Light Curtains & Strands > String Lights - 100 Large Round LED Bulbs - White "Fairy Lights"
Let the party begin! 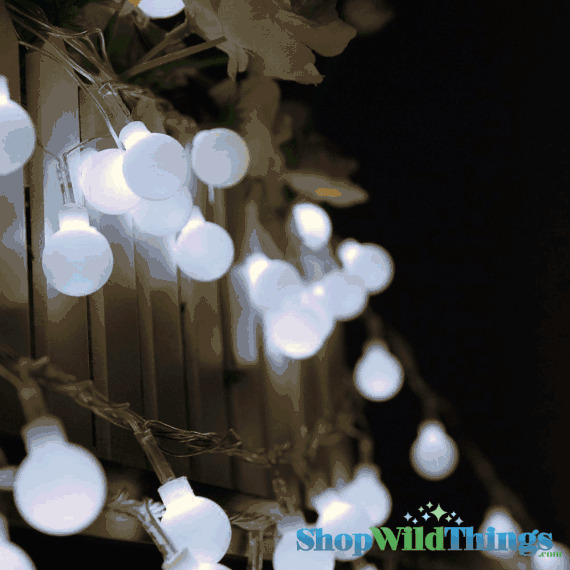 Our Ball String Light features 100 LED White Balls in a black socket and black cord. Light up that boring umbrella, liven up that party tent, embellish a tree or huge wreath or create the perfect atmosphere on your patio or in your garden! The white LED bulbs are 3/4" in diameter and have a life of approx. 50,000 hours. The bulbs are 4" apart and total cord length is 34'. This string light displays a steady light only (no flashing).